Arizona’s medical marijuana market, already one of the largest in the nation, will soon undergo a major transformation – one that could create fiercer competition for existing dispensaries but also extra sales. The number of licensed dispensaries is poised to jump by around 30%, unleashing new players in populated areas. At the same time, however, demand for medical marijuana in the state is expected to remain brisk, generating fresh business for the 93 operational dispensaries (another six are licensed but not open). The number of medical marijuana patients jumped nearly 10% from January through April. 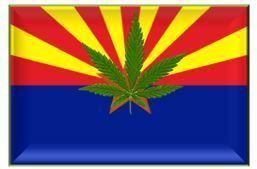 A big trigger for change will occur this summer, when Arizona doles out about 32 new medical marijuana licenses. The Arizona Department of Health Services, which oversees the state’s MMJ program, has yet to announce a formal timeline for applications, or even how many new dispensaries will be permitted to open. Details are expected next month. At the same time, a handful of dispensaries have relocated to the Phoenix area from rural locations to boost business – a move that’s generating added competition around Arizona’s most populous city. The last wild card: Arizonans may vote to legalize recreational cannabis come November, which would lead to a boom in customers if it succeeds. The new licensing round is expected to attract scores of applicants. “There’s a lot of people saying: ‘We want to take a shot at this,'” said J.P. Holyoak, president of the Arizona Dispensary Association and owner of Arizona Natural Selections, a dispensary in Scottsdale. Several observers in the state said they expect between 100 and 200 applications for what will likely be around 32 licenses, which would bring the total to 131. (Arizona law allows for one MMJ dispensary for every 10 operating pharmacies in the state, which stood at 1,310 at the end of April). However, the odds are decent that sufficient demand will emerge to satisfy every dispensary owner: Between January and April 2016, patient registration jumped to 97,938 from 89,255, according to state statistics. And that trend shows no sign of slowing. Dispensary sales this year are expected total $200 million to $250 million, up from $175 million to $200 million in 2016, according to the Marijuana Business Factbook 2016. At the top of the list to receive new dispensaries will be any counties that don’t already have one, said Tom Salow, who oversees the health department’s licensing program. After that, licenses will be handed out to dispensary applicants who will set up shop in areas with the greatest patient density. Because patient addresses are kept confidential by the state, there’s no real way for applicants to figure out where they should look for a location to increase their odds of of landing a permit, Hurley said. Another possible obstacle for new licensees: Finding properly zoned real estate to set up shop. Some formerly rural dispensaries that moved to municipalities around Phoenix have exacerbated the situation. And some of those municipalities aren’t happy to have them. “Different jurisdictions are reacting different ways,” said Demitri Downing, an Arizona cannabis industry expert. “Some are instituting ordinances with stricter zoning controls. Some are issuing ordinances where they’re limiting the number of licenses total” that are allowed in a municipality. City lawmakers in Phoenix, Scottsdale, Gilbert, and Tempe have implemented such changes, with more such ordinances possibly on the way. That has made it difficult for would-be dispensary owners to find legal places to do business. Those without a location won’t get a permit. For the small number of dispensaries that have relocated, Downing said, it’s been a boon. One dispensary owner, for example, who moved from “the middle of the mountains” to a Phoenix suburb has gone from eight patients a day to around 200, he noted. It’s not clear how many have moved, with the health department saying it’s no more than four. Other industry observers say it’s closer to 10. Holyoak moved his dispensary, for example, from Cave Creek to Scottsdale, which is about 20 minutes closer to downtown Phoenix. “We have seen an increase,” Holyoak said of customers. The biggest possible change could come if adult-use cannabis succeeds. Holyoak, who also chairs the Campaign to Regulate Marijuana Like Alcohol, said that if the measure passes, it’s likely that between 150 and 160 retail licenses will ultimately be granted. MMJ dispensaries would get the first crack at those licenses. That could mean a boom in business for existing dispensaries and anyone who wins a license this year.